Actor Vivek Anand Oberoi on Monday started shooting for ‘PM Narendra Modi’, a film tracing the life of Indian Prime Minister Narendra Modi. 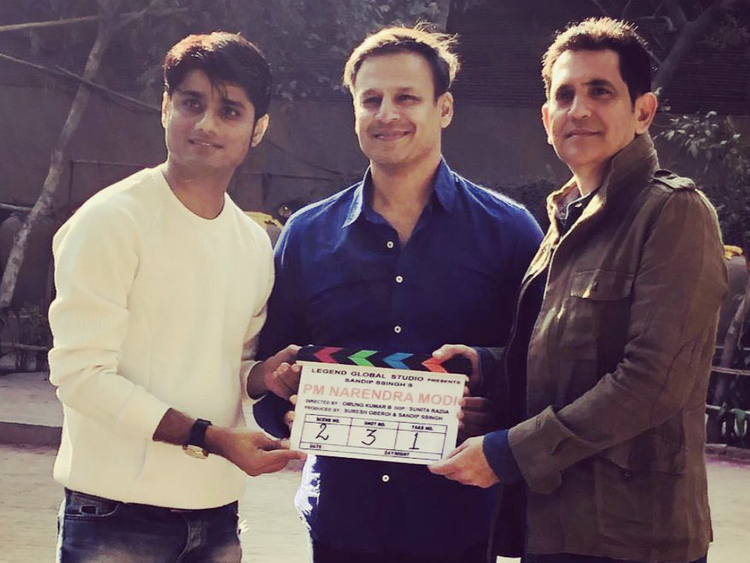 A photograph from the set of the biopic has been released where producer Sandip Ssingh, director Omung Kumar B and Oberoi can be seen holding the clapperboard at the set. Oberoi will play the role of Modi in the film, which also stars Boman Irani and Darshan Kumaar. The biopic will trace Modi’s journey from a tea-seller to assuming the office of the Prime Minister of India. ‘PM Narendra Modi’ will be shot extensively in Gujarat and across locations within the country. The film is being co-produced by Ssingh and Suresh Oberoi.